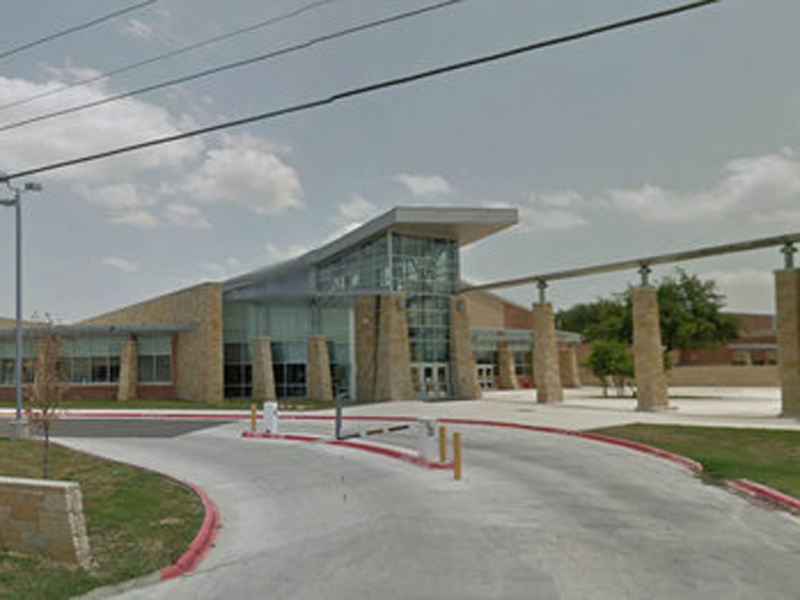 (CBS) NEW BRAUNFELS, Texas - A Texas high school student who was air-lifted to a hospital after a fist fight in school Tuesday has died, a school official confirmed to CBS affiliate KHOU. According to ABC affiliate KVUE, police say the victim was punched twice by another teen as he exited a classroom. The victim reportedly did not have a chance to defend himself. The school was temporarily placed on lockdown as a result of the incident. Another 15-year-old student is charged with aggravated assault in the attack, police say. That student is currently being detained at the Guadalupe County Juvenile Detention Center. According to KVUE, the charge may be upgraded to murder. CBS News' Crimesider is not reporting the victim or the suspect's name because they are minors. Julie Jerome with Comal Independent School District said counselors have been brought in to the high school to speak with students and staff who may have witnessed the fight. The school district superintendent, Andrew Kim, called the teen's death "shocking" and a "tragic event," according to KHOU. The incident remains under investigation by the New Braunfels Police Department Criminal Investigations Unit.